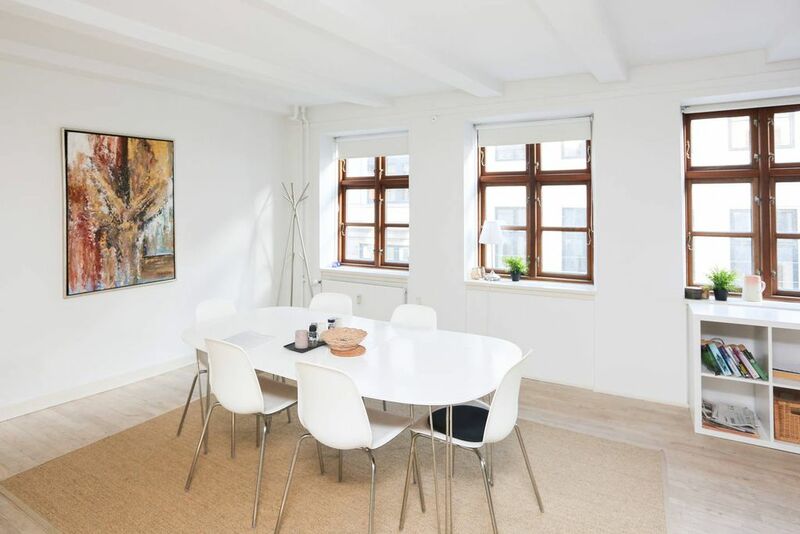 This flat is light and friendly and located right in the very centre of Copenhagen - 400 meter from the Town Hall Square and Tivoli. It is a great place for a couple to stay with all sight within walking distance. The flat is in good condition with combined sitting/dining room, a kitchen, bedroom with a desk and a large bath room with a very large shower (for Danish standards :-)). Very light apartment. Please note that the siting-room and bed room are separated by a half-wall (no door). The is a large bed, 160 cm wide) in the bedroom and a 140 cm wide fold out sofa (with linen) in the living room. There is a modern bath room with a very large shower-room. Our flat is 50 meters from the pedestrian walk - between the Town Hall Square and the Royal Theater. Flat is 10 minutes walking (800 meters) from both the Main Train Station (near Tivoli) and Kongens Nytorv (Royal Theater Square) at the end of the walking Street.